This is a sponsored post written by me on behalf of AirStone for IZEA. All opinions of this beautiful product are 100% mine! Hello amazing Friends! 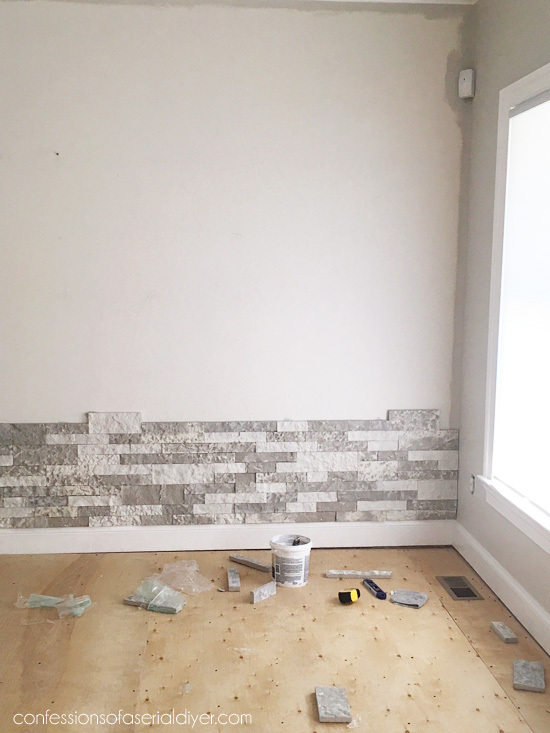 On Tuesday I shared a peek at what I was using on the feature wall in my office, and today I am SO excited to share how it turned out! 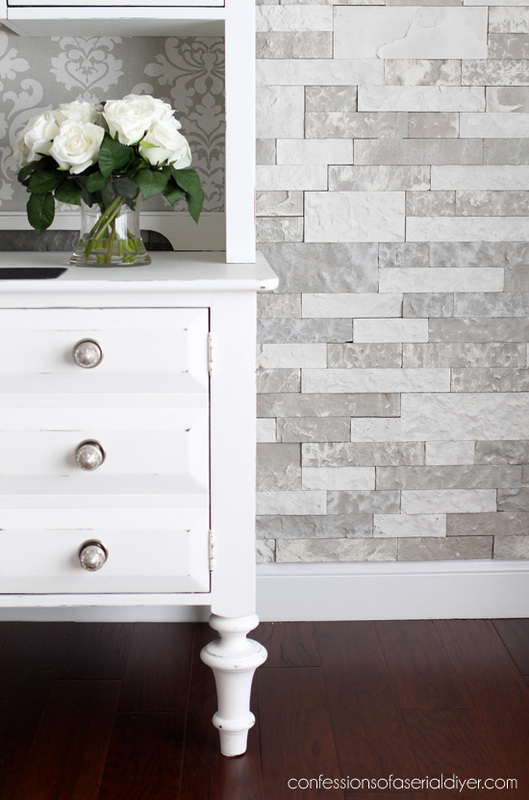 I chose to use AirStone, a lightweight stone product, to highlight this wall in my office. Ready to see it finished?? This is the reason I painted my desk white. 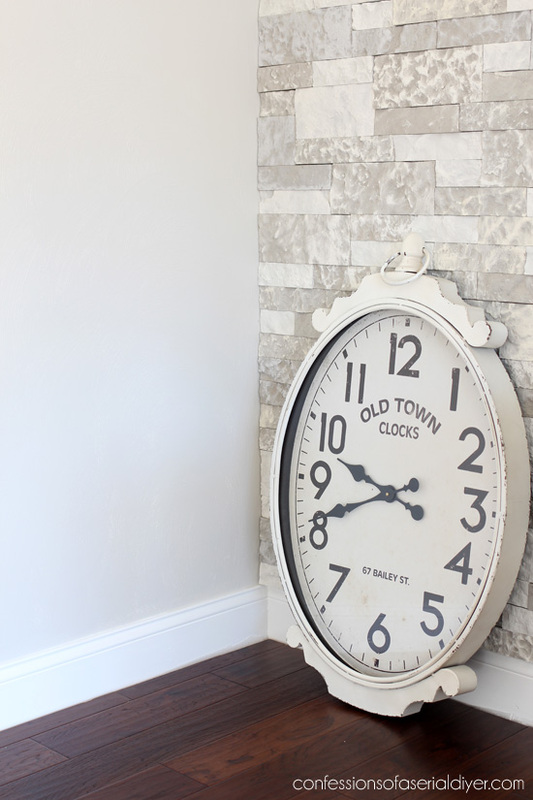 I needed it to be neutral enough to let the beautiful AirStone wall stand out. I love the character that the AirStone has added to this space. 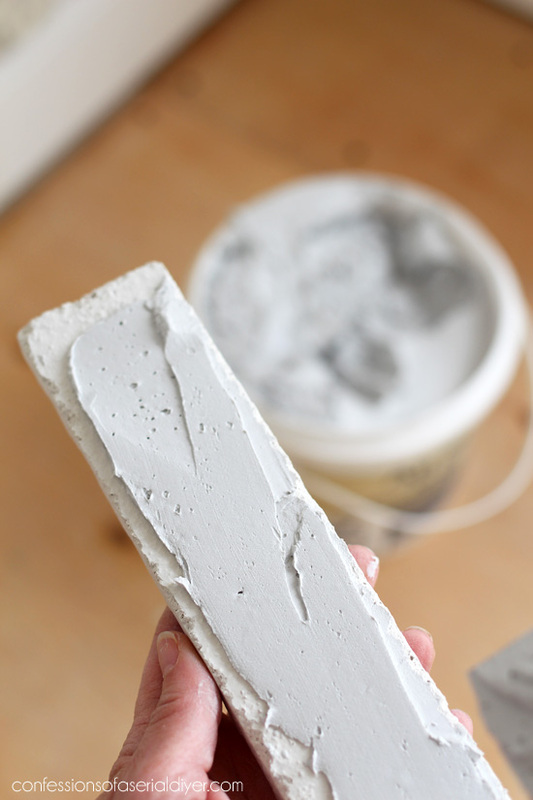 You just apply the AirStone adhesive to the back with a putty knife and stick it to the wall. Easy! See more details on how I installed it in my teaser post HERE. I chose Birch Bluff. My room has a ton of light so it really plays up the grays, but as you can see above, it can take on a more beige tone depending on the space. You may remember my little sofa I slipcovered back in June. (See that post HERE.) It used to be in our master bedroom, but I love it here in my office! I still need to hang that clock, but it will go in here somewhere. I also still have to add the quarter round to the base molding. I am still deciding what will go on the wall to the left, but this angle is all set! The black and white rug that used to be in my dining room at the old house will probably end up in here. For now, I love coming down the stairs and being greeted by this pretty room! I also still have my frenchy fabric-covered desk chair…I’m still deciding if it will get a new look as well. This product is super easy to install, even for the novice do-it-yourselfer! 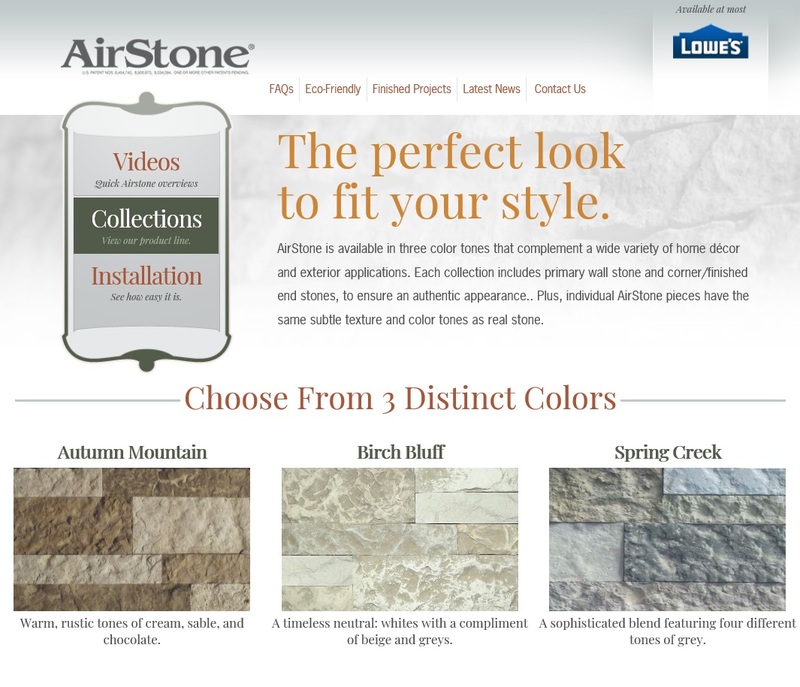 See more videos and AirStone Inspiration HERE. It added instant charm to my office wall. 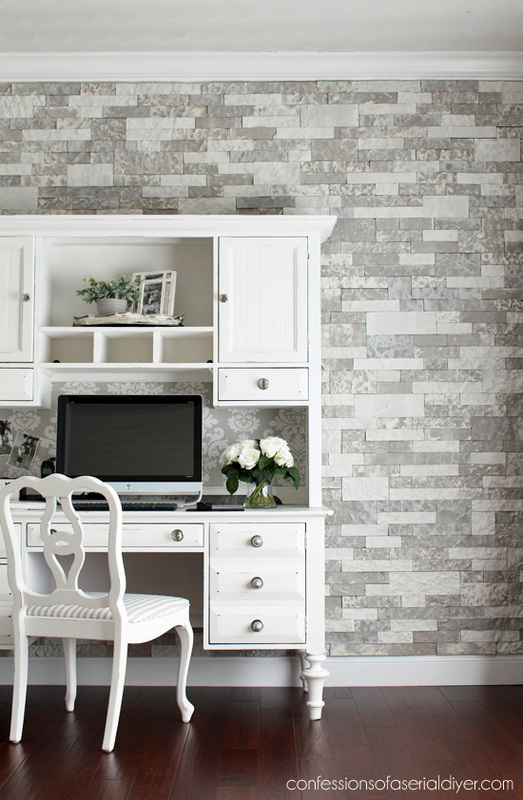 You may being seeing a lot of it because wouldn’t it make a great backdrop for my furniture shoots? I think so! This room is very neutral, but that will allow me to add pops of color with pillows and other accessories if I want. I’m thinking some pretty reds added to the mix will be perfect for the holidays! 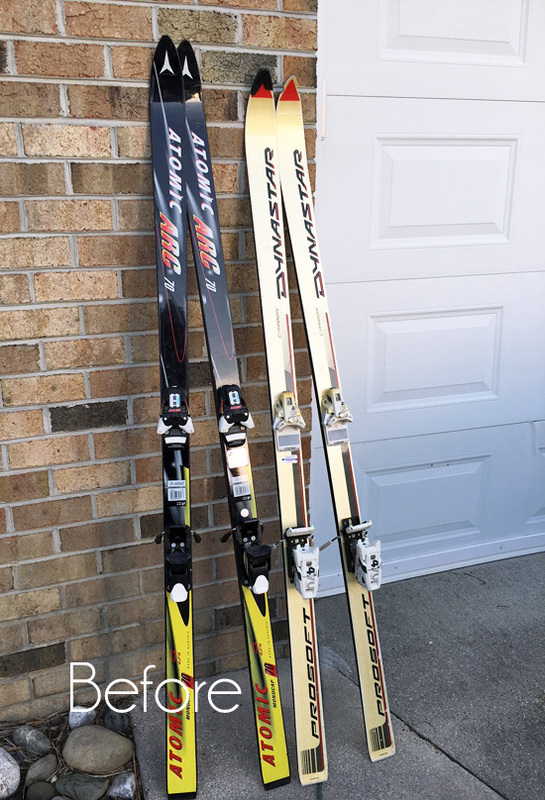 UPDATE: No need to wait…see what I did with these skis HERE now! Wow, it turned out beautiful. That is an amazing transformation!!! I Love it. So talented! It is absolutely beautiful!!! 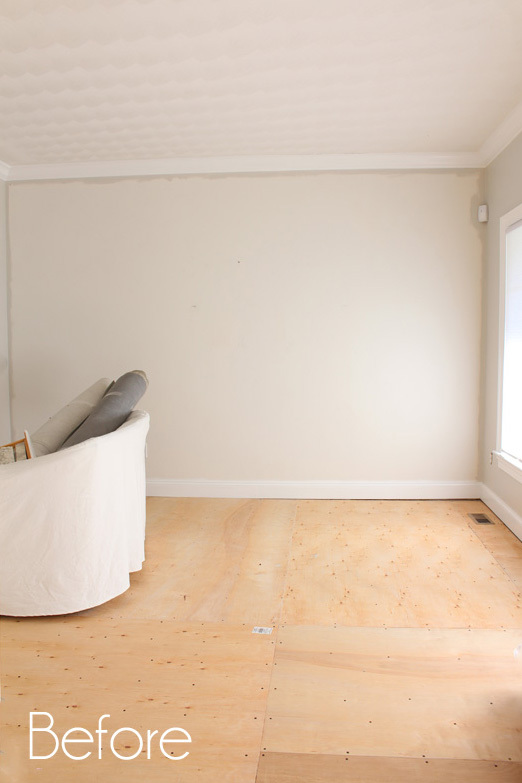 This room is going to be gorgeous and I love the little settee. Very pretty and very creative. You do such beautiful work. Every time I see that I have something from you I can’t wait to open it and see what you have done now. Thank you for always sharing and being so creative, you really give me a lot of inspiration to do more projects!!! It looks wonderful. 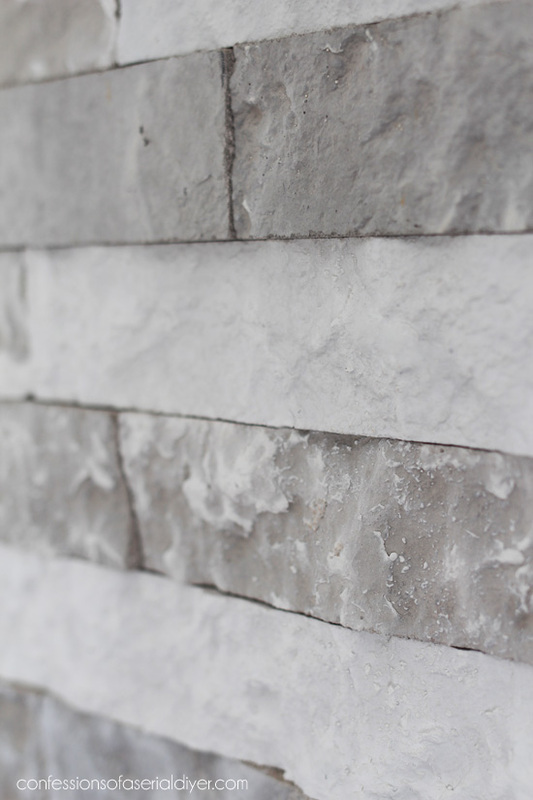 I am familiar with a product called ledger stone that is used around pools but it is so heavy. This product looks similar but far easier to install on a large wall. Oh my gosh!!! It turned out beautifully! What a transformation! So beautiful! No surprise to me – since I think everything that you create is beautiful! Such a happy room to work in. 🙂 Cute helper, too! Your office is gorgeous; who wouldn’t want to spend time in there? Great job! What a beautiful room!! I would never want to leave this room. Everything you do amazes me but I had my doubts on this one when you gave the sneak peek. Again you’ve amazed me, I love the whole look! Great job. Stunning! I would live in that room:) Great job. Wow!!!! I absolutely love your new office look!!!! 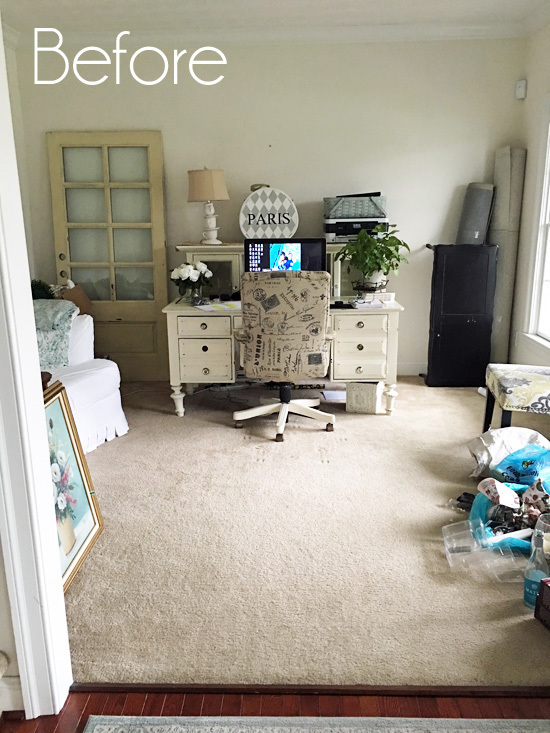 That is one sweet office, Christy! The settee is perfect in there. Will we be seeing a re-do of the office chair soon? It’s gorgeous! 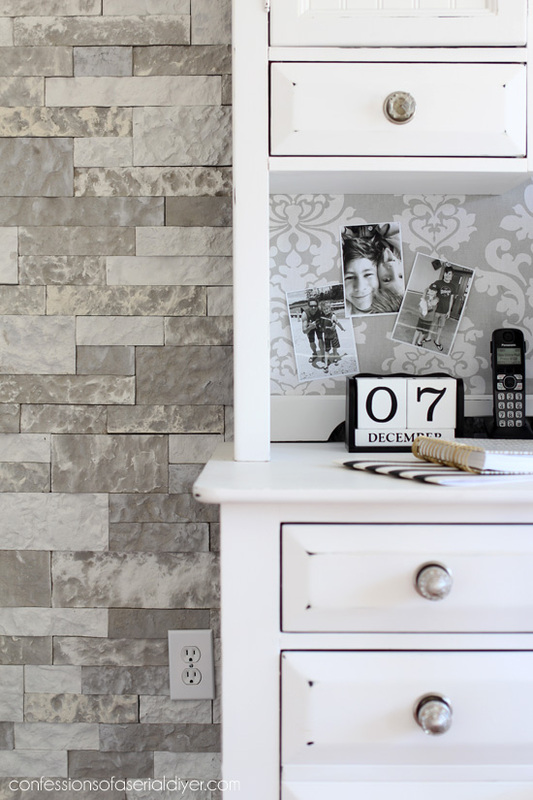 And yes, it will be a perfect backdrop for your furniture shoots! What a great transformation! All I can say is wow! thinking where could I put that in my house???? Your new office is stunning! You are such a worker bee, or as my husband says, ” a high capacity person”!!! I am always amazed and inspired by your projects. Thanks for sharing! Oh, Christy! When I saw the sneak peek I said it is pretty but I would probably prefer the plain wall for simplicity. But. When I saw your reveal I was blown away! I think my eyes crossed for a moment. As always I am wowed by your vision and abilities. Great job! Love it and it looks great! Can’t wait to start re-doing some of my house! It is absolutely Stunningly Beautiful!!!!!! So worth the wait to see it!! OMG Christy! This is gorgeous!!! if you were to describe this to me I would say it won’t look that nice because both the accent wall and furniture are similar colors but OMG it really pops!. I guess is the dark floor. I love everything! It looks so clean and tasteful! I’m not surprised, everything you do always turns out this amazing. Very pretty, Christy! Love how light and airy the room looks/feels! And, love that love seat in there… styling is perfect! Oh wow Christy! the wall is fabulous. I love the color the texture, I love everything about it. GASP!! I’m. Speechless. Stunning and soothing. I love it! bonito y elegante, muchas gracias por compartir sus conocimientos y buen gusto por la decoración. I just love it, Christy!! Your office is amazing and beautiful! You did an awesome job and you are so talented! Wow! That is beautiful! Your office looks gorgeous! You did a great job…. I was so impressed, I showed my husband, and he was “wowed” too! What a lovely and unique effect! Congratulations. I was not sure but now seeing it done, I like it. I love it! I have one question, how do you clean it? I know who wants to think about that, but that is always in the back of my mind before I purchase something. Will it be easy to clean? Just wanted to say that it’s so nice that you take the time to respond to all the remarks from everyone. Some blogs writers don’t do that and although it takes time to respond to everyone, I think your visitors appreciate even just a word or two in response. Signed: Just an appreciative visitor. WOW!!! What a transformation! That is really a welcoming room. I’m sure you will love being in there to do your work! Wow, it is beautiful. I would love this anywhere. A-MAZ-ING!!! I love, love, lovvvvvvve it!! It’s stunning, Christy! Love the decor on your desk too! 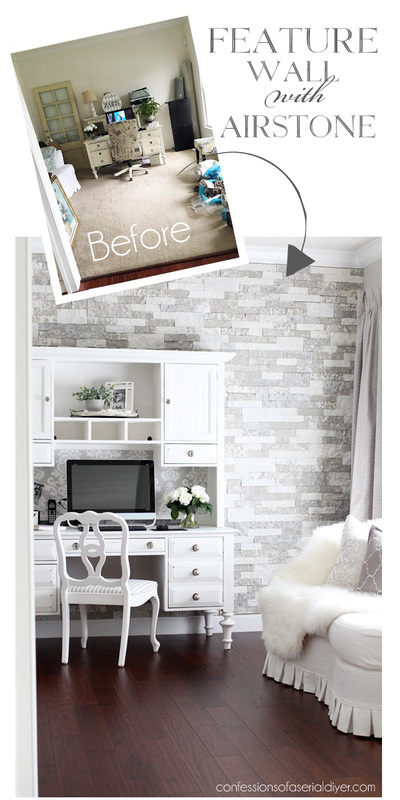 Oh goodness, will that ever be a fabulous backdrop for your furniture makeovers! 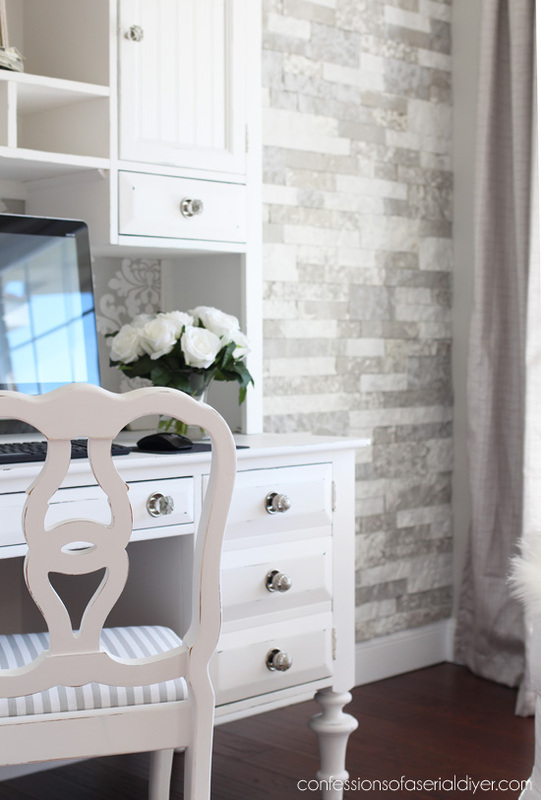 The room is lovely – such a pretty spot to blog. Absolutely gorgeous!!! I love it!! Hi Danny! I purchased it at Havertys Furniture store about eight years ago. It was originally black, but I painted it. The stone is beautiful! I also love the floor. What kind is it?